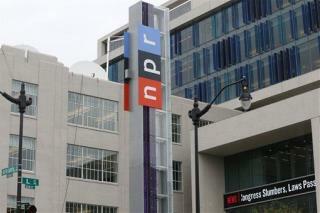 (Newser) – NPR has lost one of its most familiar voices. Craig Windham, an award-winning reporter who anchored newscasts and covered a variety of subjects, died Sunday of a pulmonary embolism at age 66, NPR reports. He apparently had ongoing health issues and was visiting North Carolina to see his brother when he died in Winston-Salem, Current reports. "Craig touched so many lives," says NPR Newscast executive producer Robert Garcia. "His beautiful writing, his use of sound, his calm, steady, gorgeous delivery—all marked the work of a caring journalist who loved nothing more than telling a good story, adding the texture that took you there, and leaving every listener invested in some way—moved or informed." Beloved! Never used for a high class Supreme Court judge but reserved for radical inconsequential liberal reporters. Quiet and persistent.....good traits. Helped others. Will be missed. RIP. To the family of mr. Craig Windham, you lost loved one, I lost a person whom I had come to respect for his unbiased reporting, and seeking the truth character! I will sorely miss him, for there will be hard to find someone to take his place!